ITIL Foundation App on Your Mobile Phone! 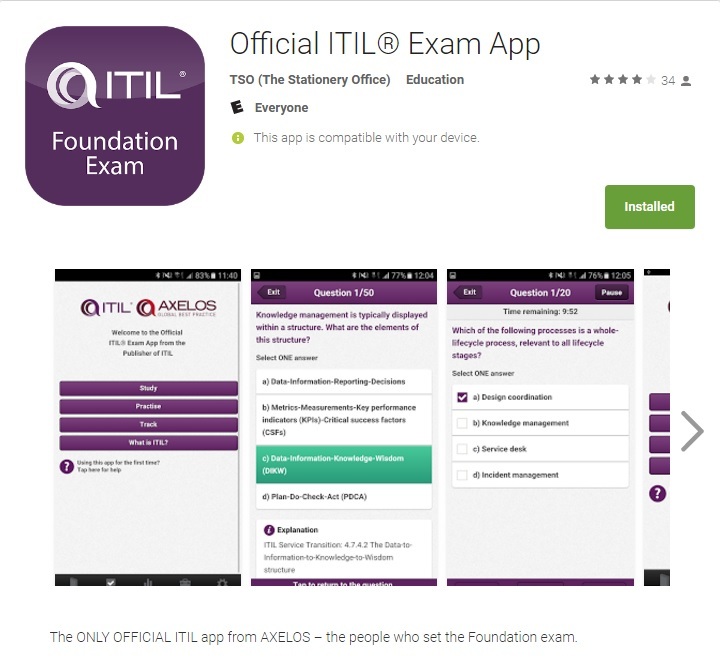 There is now an official ITIL Foundation Exam Prep App available from Apple iTunes, or the Google Play store, that you can download for $4.99 to help you prepare for the ITIL Foundation Exam. It contains a case study, and 300 sample questions to help you prepare for the official ITIL Foundation exam. This is the ONLY official app from AXELOS – the people who create the exam. So don’t accept imitations. Get the real thing if you need some additional practice in preparing for the exam! Paul M. Dooley is presenting on BrightTalk on May 17, 2017 about an emerging best-practice kown as “swarming” – a new way to handle incoming support issues to service desks and support centers. As a result of the dynamics in the changing business and IT environment, the tiered support model – although it has worked and been very popular over the past 30 years – is now coming up short. Many issues end up backlogged in ticket queues, resolution times drag out, costs continue to rise due to the magnitude of escalations, and customer/user satisfaction suffers. Found an interesting article in common practices to protect your company against Ransomware attacks. You are currently browsing the Optimalconnections's Blog blog archives for May, 2017.